In response to the Frank-Dodd law that responded to the most recent financial crisis, the American Land Title Association created a series of Best Practices. 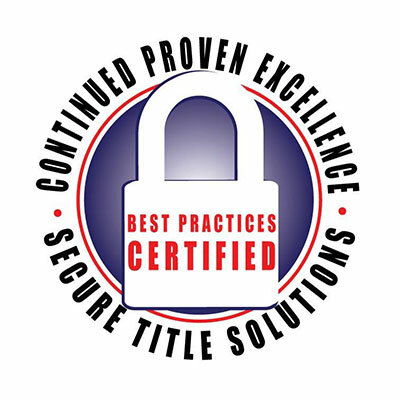 These Best Practices are not boilerplate, easy to implement window-dressing for the title industry. Rather, they reflect a considered opinion on the various ways to protect consumer privacy, fiduciary responsibilities, and industry safeguards. 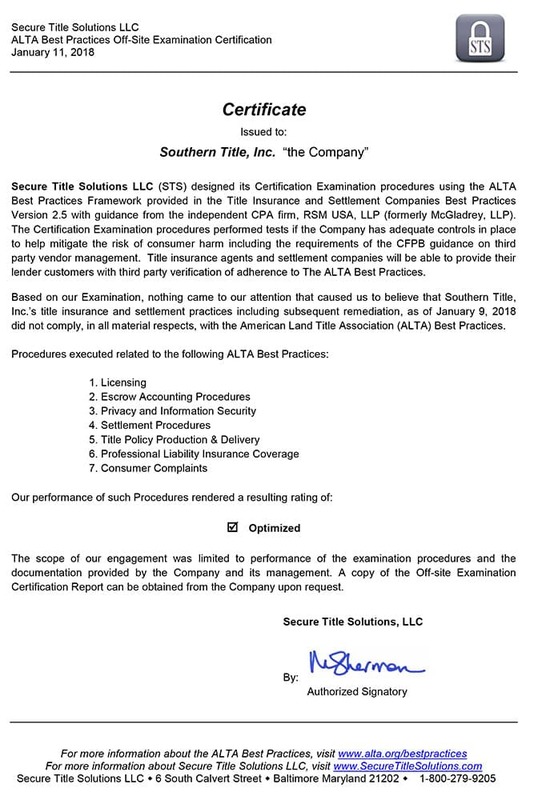 Southern Title is proud to have passed a rigorous Best Practices review by an actual CPA firm that stands behind their results. Our firm undertook the actual steps required for Best Practices review and is committed to maintaining those high standards in perpetuity. The VAST majority of ALTA Best Practice certifications are essentially self-certifications and indicate that the firms have spent very little time or money to comply with the Best Practices. Read more about the review process here and the Best Practices in general here.